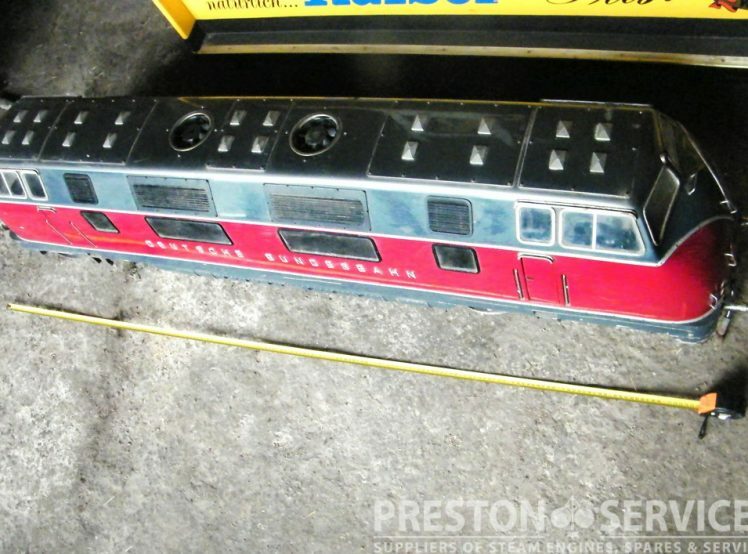 Believed built by Zimmermann garden railways of Germany, this high quality miniature loco is based on the 1962 Diesel-hydraulic locomotives built for the Deutsche Bundesbahn. 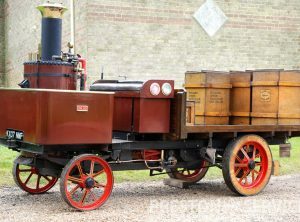 This impressive and handsome locomotive is electric driven. 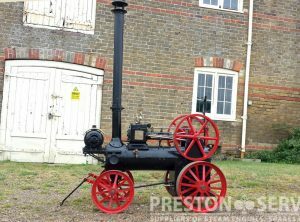 For sale in good working condition. 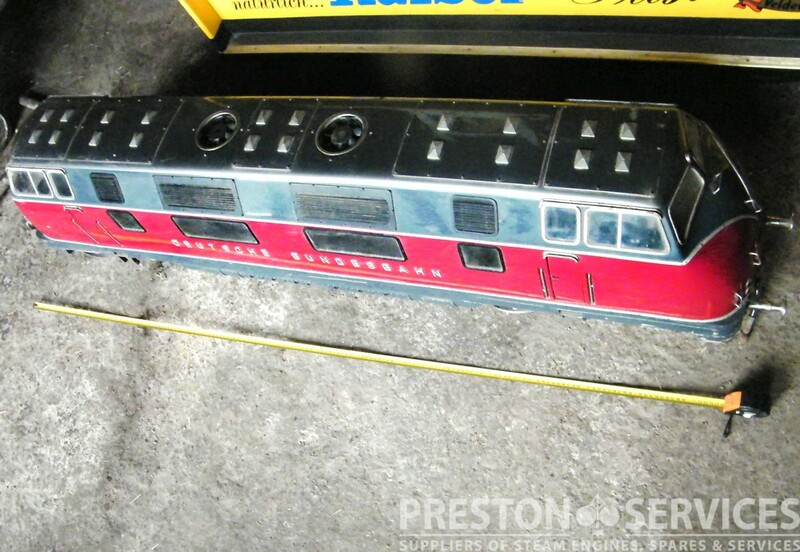 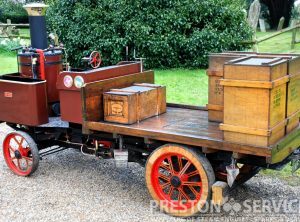 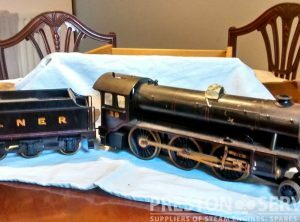 A complete track set in 5″ gauge and 6 Zimmermann carriages are also available. 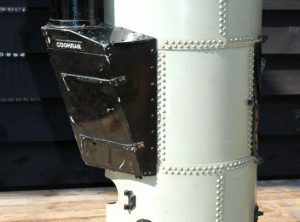 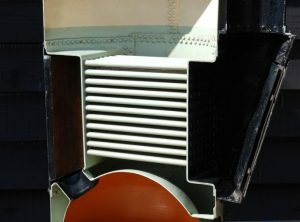 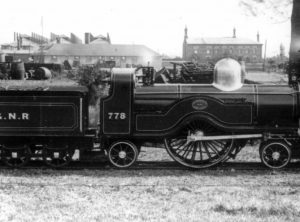 A part-built L.B.S.C. 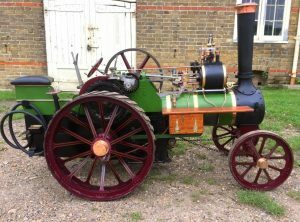 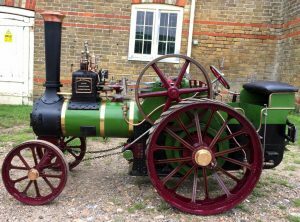 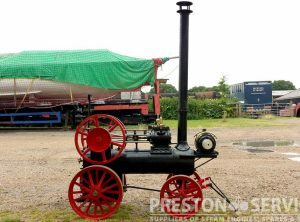 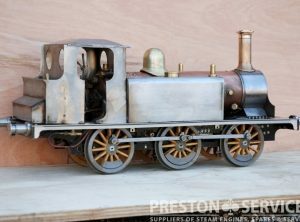 “Terrier” tank locomotive, in 5″ gauge to Martin Evans designs. 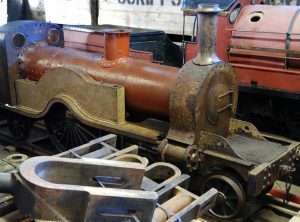 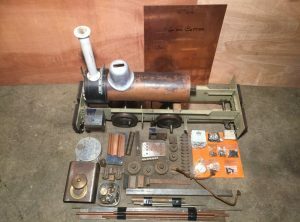 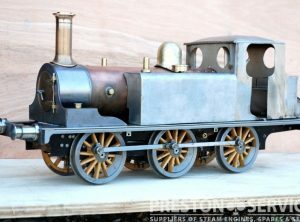 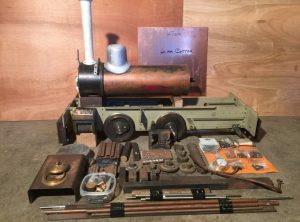 Similar to a “Boxhill” loco, this high quality miniature has a professionally made copper boiler and is approximately 75% complete. 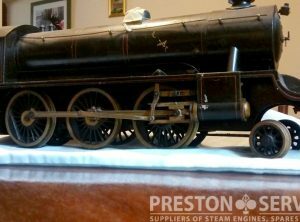 Requires finishing and for sale with current boiler test certificates.